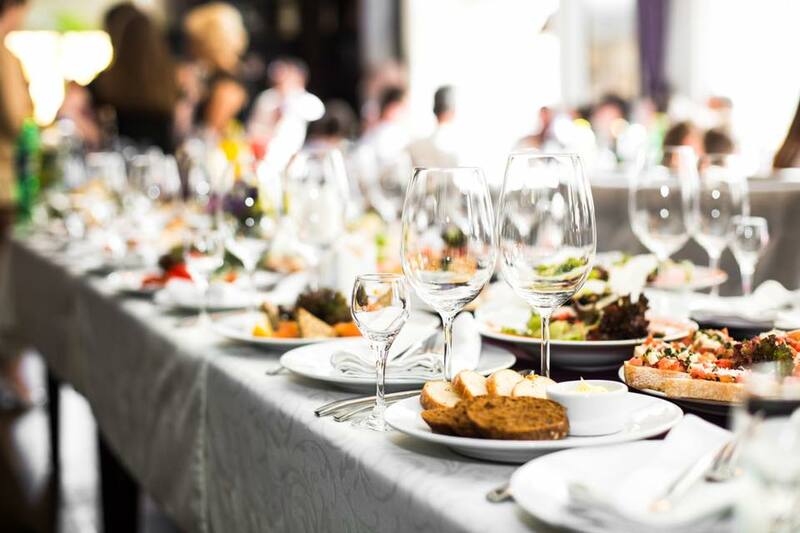 Looking for a buffet dinner or brunch in town to tempt your palate this New Year’s Eve 2018 or scouting for a sumptuous feast to celebrate New Year 2019? 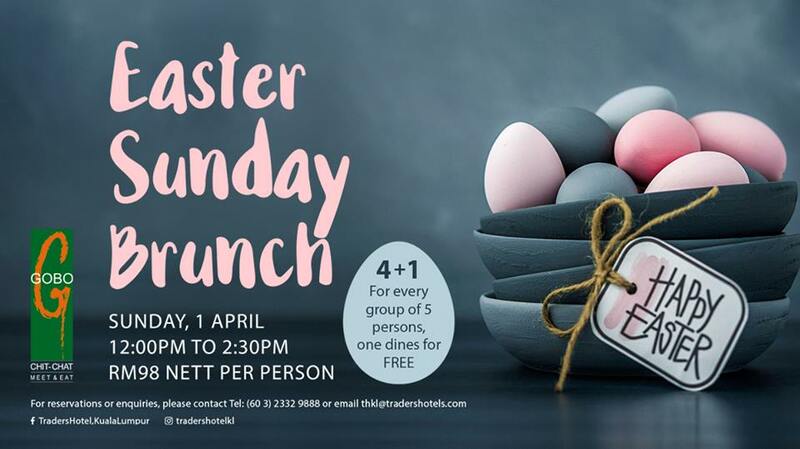 We have got your back! 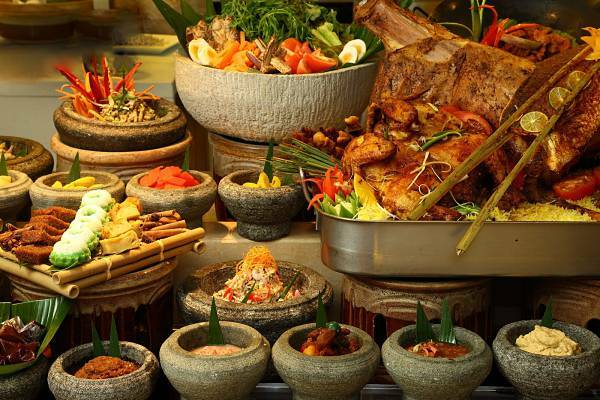 Check out our hand-picked list of the top buffet for New Year celebration in Malaysia! 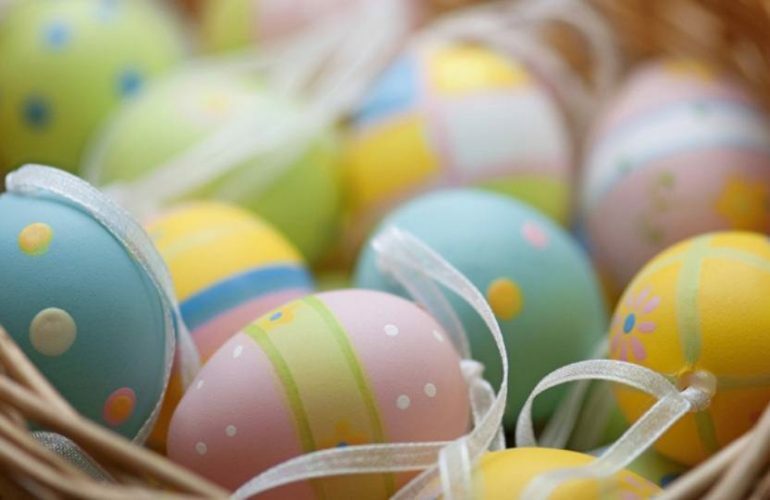 Love to see more? 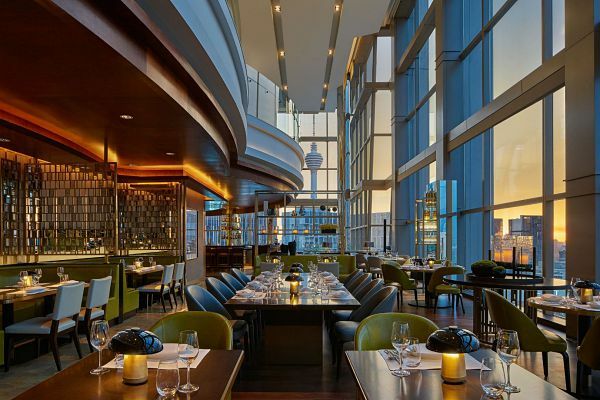 Don’t miss out our list of Top Restaurants that Serve Festive Menus for New Year Celebration! 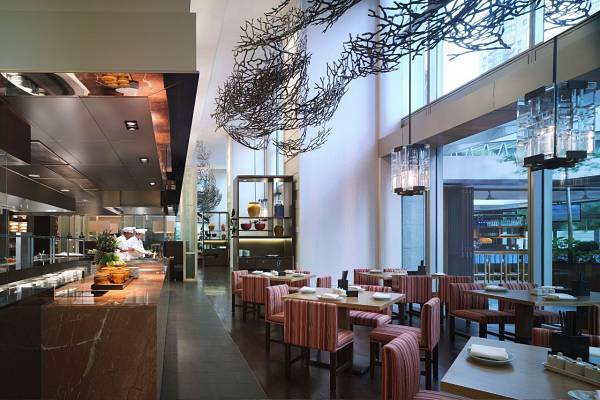 With an open-concept kitchen featuring 4 show kitchens – Japanese, Chinese, Italian and Western Grill to captivate all the senses, Shook! 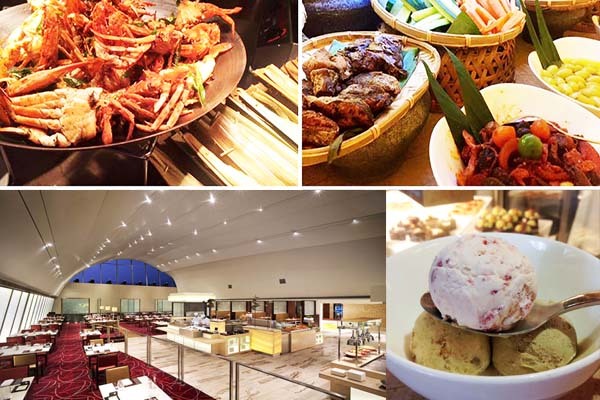 at Starhill Gallery is definitely your place to be for a wide spread of buffet to celebrate this New Year 2019. 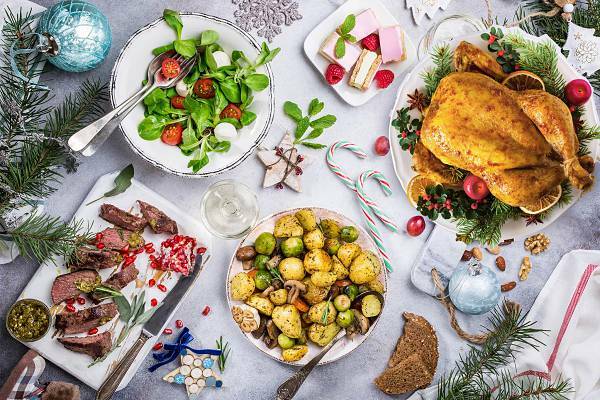 Treat yourself to a plethora of holiday treats like Freshly Sucked Oysters, Lemon Wedges, Smoked Salmon and Gravlax, Prawn Bisque, Roasted Prime Rib, Lamb Kebab Skewer, Roasted Whole Lamb and many other delights. 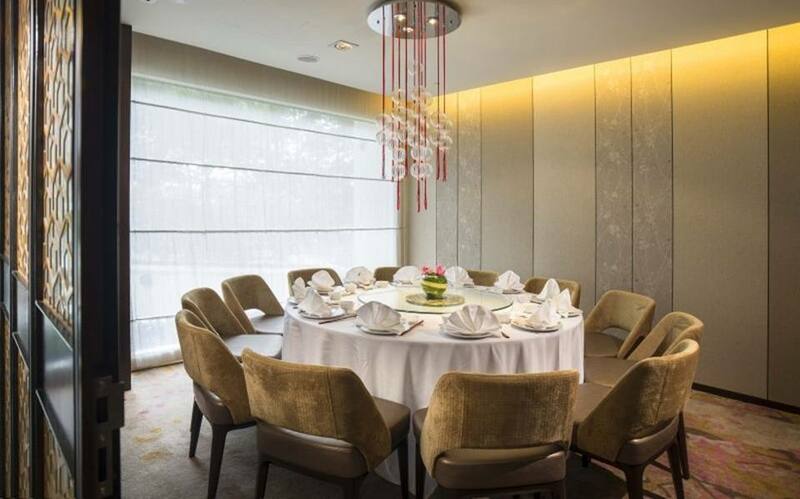 – New Year’s Eve Big Balloon Drop Dinner Buffet: 31st December 2018 at RM298 per person. 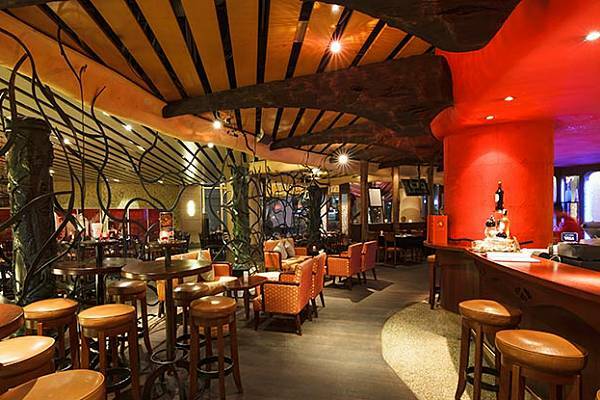 ***Special offer: Ladies come in a group of 4 for countdown party (after 10pm) will get a bottle of prosecco for free. 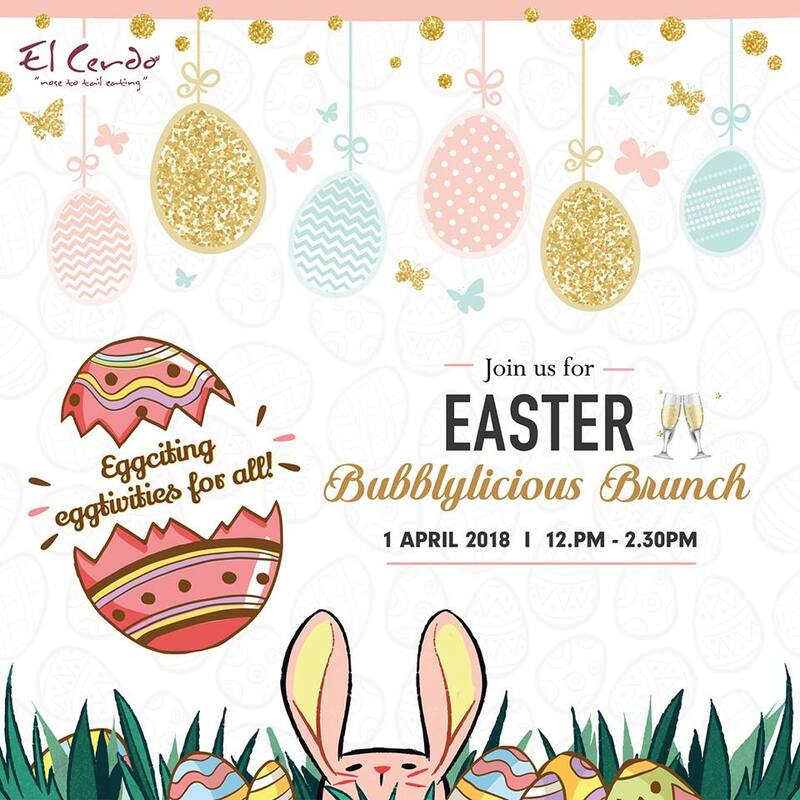 – New Year’s Day Bloody Mary Brunch Buffet: 1st Jan 2019 at RM158 per person. 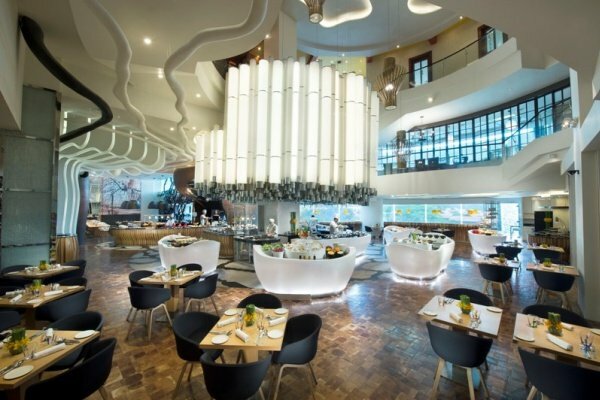 Nestled in the food heaven Starhill Gallery, Sentidos Gastrobar – The Latin Grill stands out for its exceptional Sentidos twist and dynamic culinary. 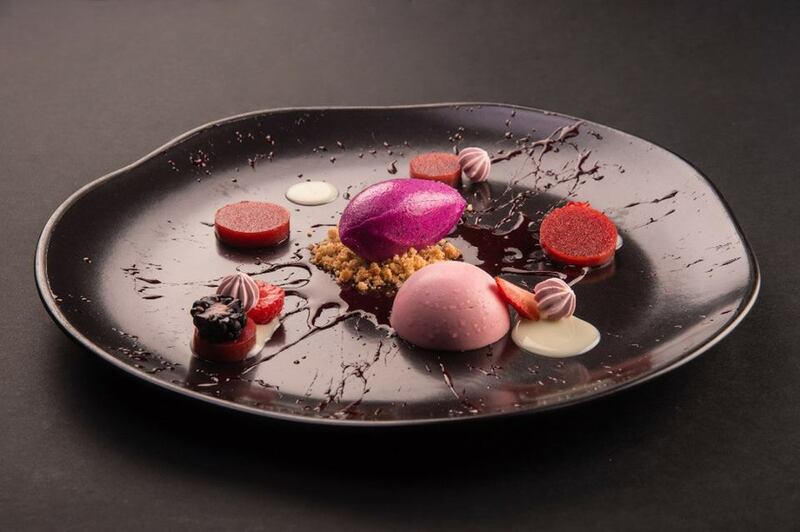 If you love an all-around experience of Spanish flavours that truly pays tribute to five senses, this restaurant would be a must-go. 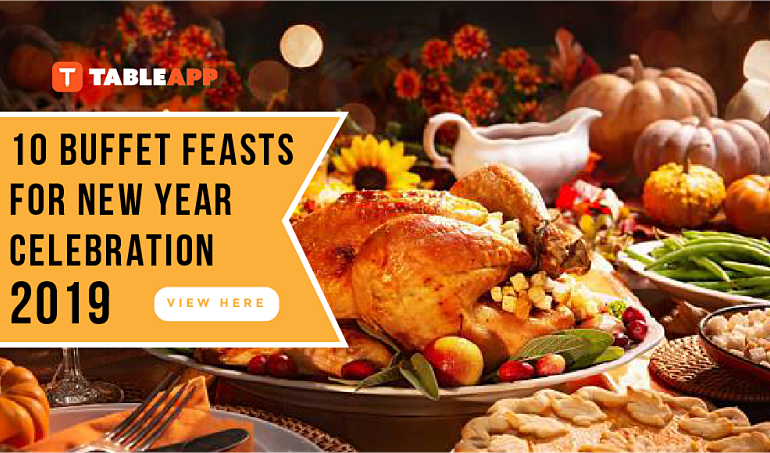 Savor delicacies like Fresh Prawns, Mexican Chicken Salad, Turkey Ham, Manchego Cheese, Spit-Roast Beef, Over Baked Herb Mushroom, Sea Grouper, Chocolate Fountain and other delights. 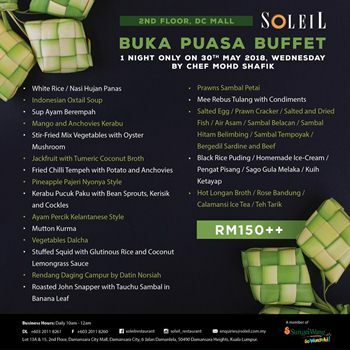 – New Year’s Eve Latin Fiesta Dinner with Big Balloon Drop: 31st December 2018 at RM158 per person. 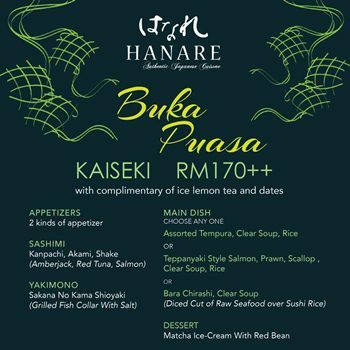 – New Year’s Day Tapas Buffet At The Table: 1st January 2019 at RM118 per person. 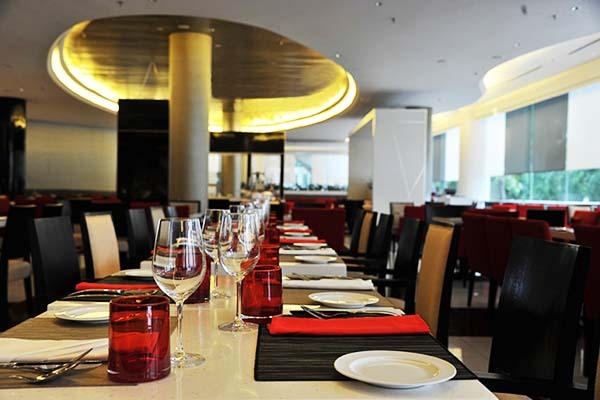 If you love to get away from the hustle and bustle right at the center of Kuala Lumpur, treat yourself and your loved ones to a cozy buffet dinner at JP teres, Grand Hyatt Kuala Lumpur which offers authentic selections of Malay, Indian and Chinese flavours and gratifies your senses with the show kitchens featuring satay grills, tandoor ovens, roti hot plate and wok stations. 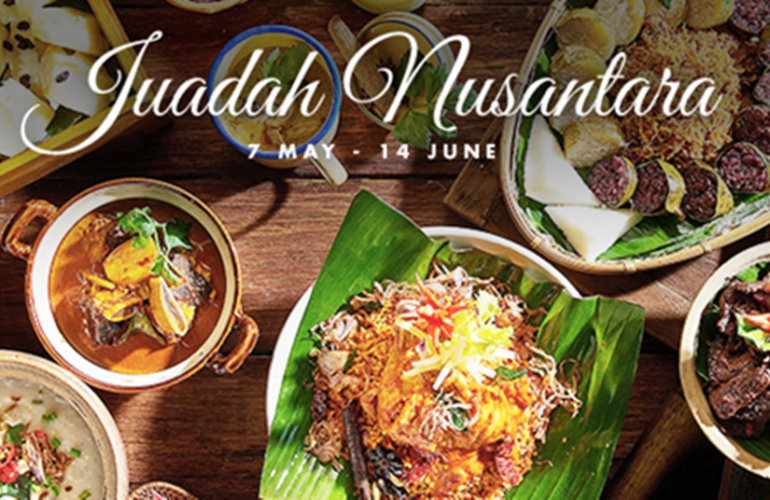 Immerse in delights such as Dahi Papadi Chat, Roasted Whole Lamb, Chili Crab, Es Cendol, Profiterole Bar and more. 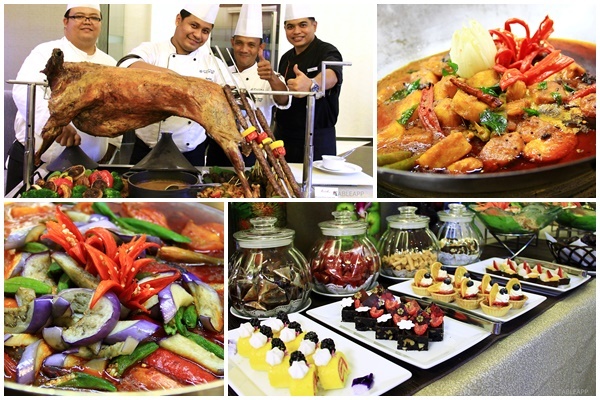 – New Year’s Eve Dinner Buffet: 31st December 2018 at RM200 nett per adult; RM100 nett per child. 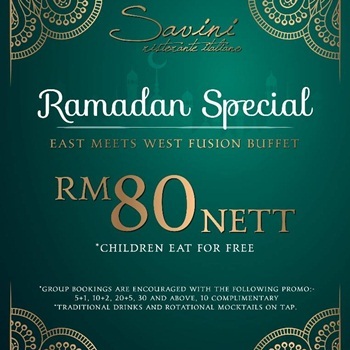 Location: Ground Floor, Grand Hyatt Kuala Lumpur, 12, Jalan Pinang, 50450 Kuala Lumpur. 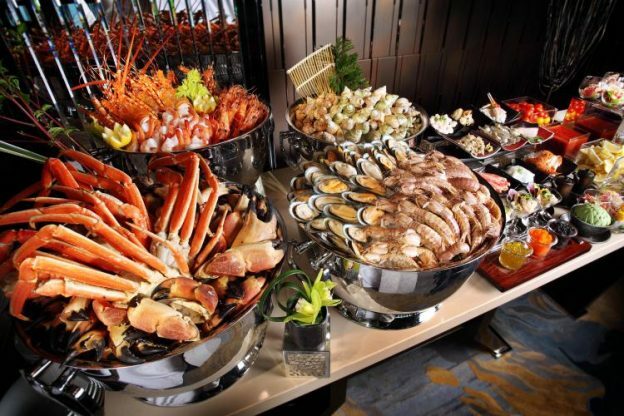 If you are a seafood lover, you simply cannot miss out taking joy in a seafood buffet spread of a variety of local and international dishes at Gobo Chit Chat, Traders Hotel Kuala Lumpur! 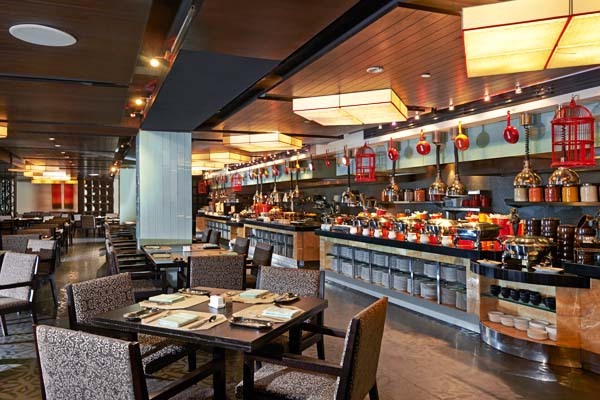 With a wide array of delectable seafood delights and other items at Japanese Sushi Bar, Appetizer Bar, Open Noodle Kitchen and Bakery, the buffet would satiate even a discerning palate! 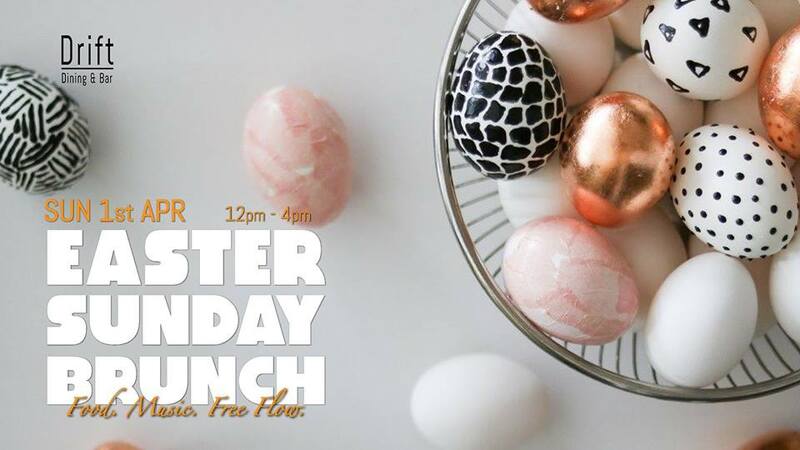 Get ready to revel in Pineapple Chicken Wrap Salad, Cold Seafood Terrine, Smoked Salmon, Alaska King Crab, Unagi Teriyaki, Seared Salmon With Truffle Potatoes and Basil Sauce and so on. 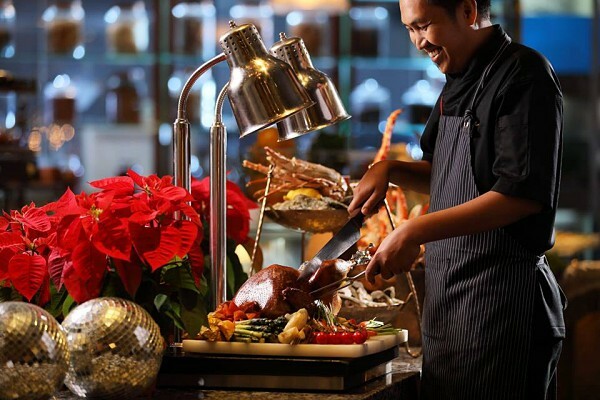 – New Year’s Eve Seafood Buffet Dinner: 31st December 2018 at RM218 nett per person; RM248 nett per person inclusive of free flow wine & bubbly. 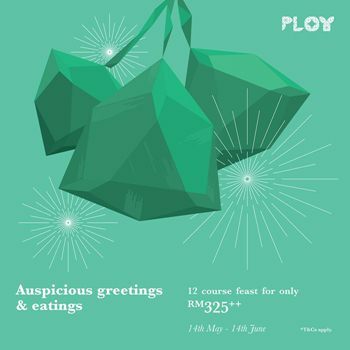 In search of sumptuous buffet offerings of gastronomic affairs and impeccable service in Petaling Jaya? 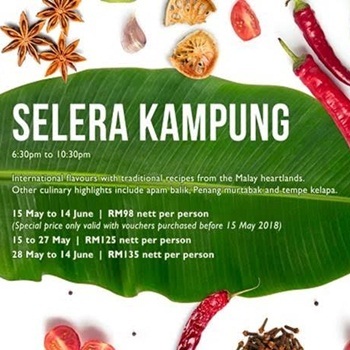 You should not miss out Paya Serai at Hilton Petaling Jaya! 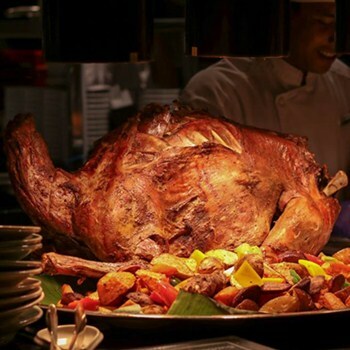 The chic restaurant is preparing a feast with mouth-watering favourites of chef’s special recipe like Whole Roasted Turkey, Lamb and Venison with delightful trimmings, festive cookies, Yuletide Log and more. 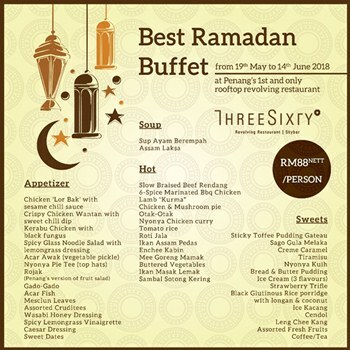 Don’t forget to get your complimentary party packs as well! 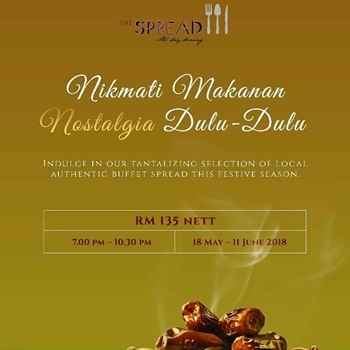 – New Year’s Eve Buffet Dinner: 31st December 2018 at RM168 nett per adult; RM88 nett per child. 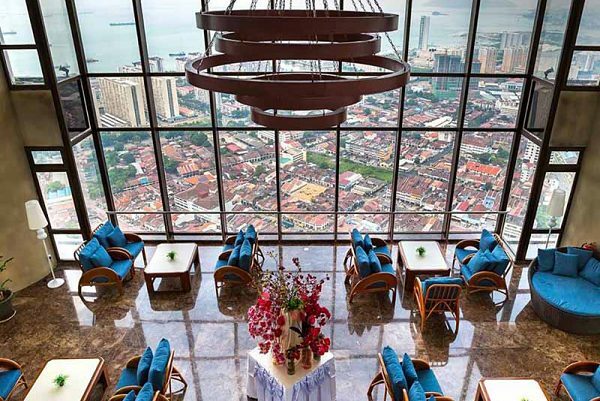 What’s better than relaxing on the 13th floor and relishing the stunning views over the Straits of Johor while digging in your favorite holiday items? 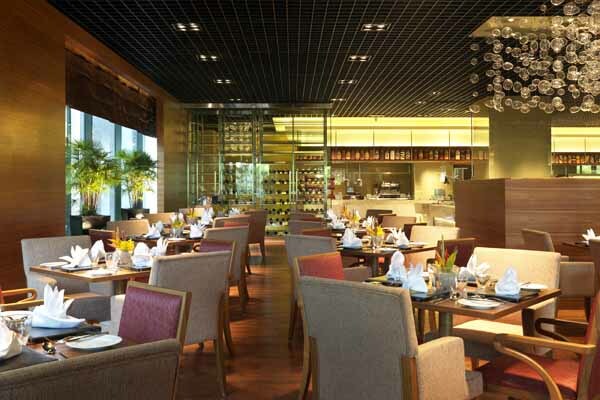 Tosca Italian Restaurant is not only loved for its contemporary flair of rustic Italian foods but also for its relaxing ambience with a sparkling poolside! 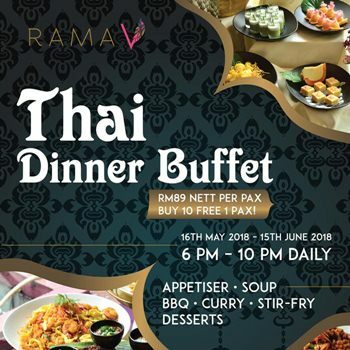 A number of irresistible buffet delicacies are awaiting at the restaurant including Seasonal US Oysters, New Zealand Mussels, Crab Cakes, Grilled Capsicum, Roasted Whole Ribeye, Lamb Stew, Paella, Sous Vide Duck Breat, Assorted Cheese, Assorted Baked Pizzas and many great dishes. 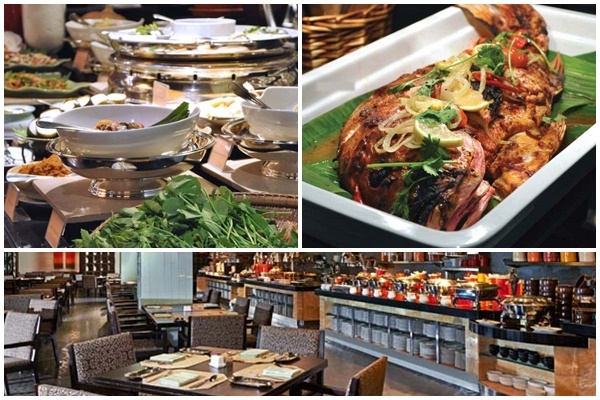 – New Year’s Eve Buffet Dinner: 31st December 2018 at RM198 nett per adult; RM99 nett per child. 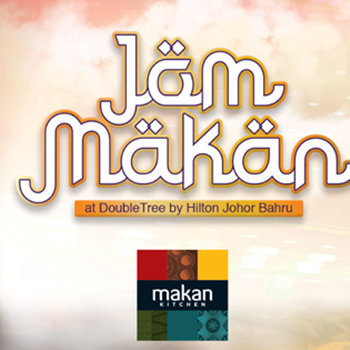 Not only can you enjoy authentic Italian cuisine at Tosca Italian Restaurant, you can also tempt your palate at Makan Kitchen, DoubleTree by Hilton Johor Bahru with exquisite cuisine ranging from Malay, Chinese, Indian and much-loved Peranakan dishes presented in a luscious spread of buffet with exciting cooking stations. 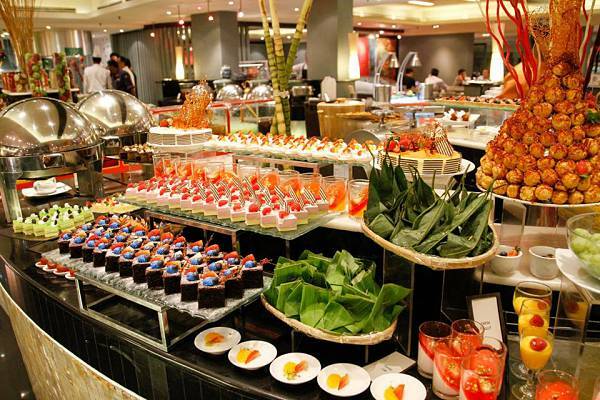 What can you expect from a buffet here? 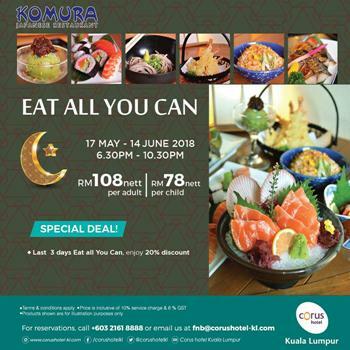 Satiate your taste buds with Steam Prawn & Cocktail Dressing, Smoked Duck Breast, Yellow Fin Tuna, Rosemary Lamb Shoulder, BBQ Marinated Mini Steak, Korean Station, Fresh Baked Clay Pot, Traditional Fruit Cake and more delicacies. 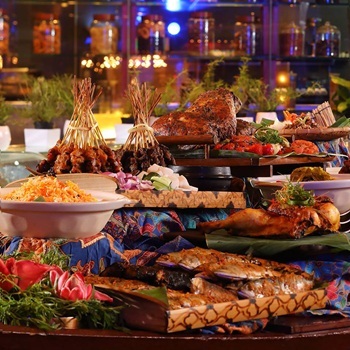 – New Year’s Eve Buffet Dinner: 31st December 2018 at RM168 nett per adult; RM84 nett per child. 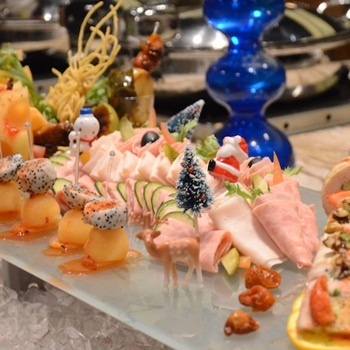 If you are celebrating New Year at Kota Kinabalu, don’t forget to take joy in the International Countdown Buffet Dinner at Urban Kitchen, Hilton Kota Kinabalu! 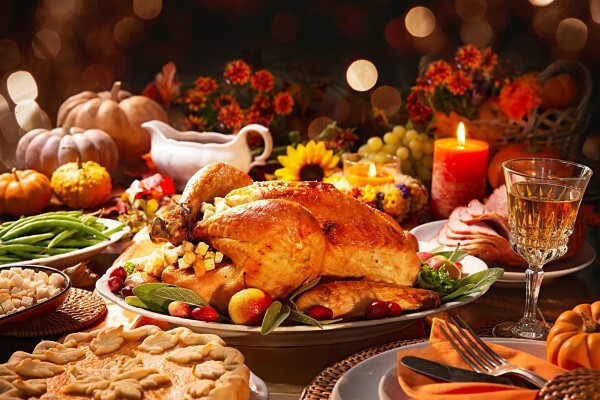 Be overwhelmed with globally inspired selection with live cooking stations showcasing local delicacies (Indian, Chinese and Malay) and Western dishes such as all-time-favorite roast of melt-in-the-mouth cuts of meat, delectable seafood on ice, great festive desserts and other dishes. 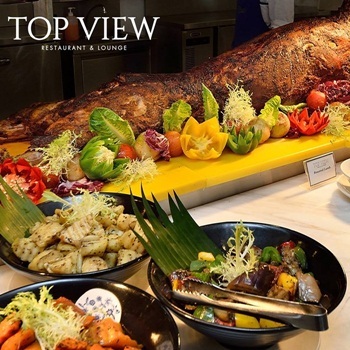 Perched on top of Komtar Tower at Level 59 and 60, it is no doubt that TOP View Restaurant & Lounge is a perfect place to count down to New Year 2019 while taking in the breath-taking view here. 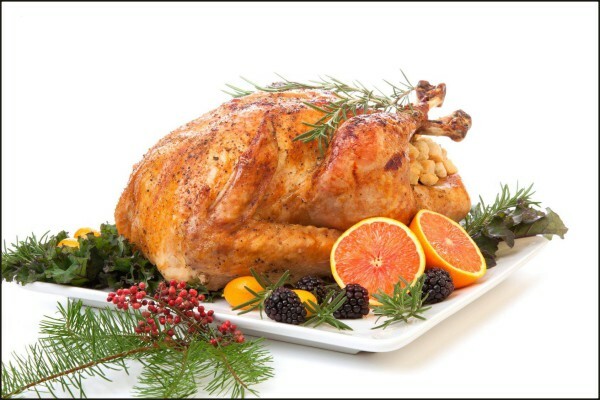 In this festive season, the award-winning chefs here have prepared a wide array of treats for you including Whole Poached Salmon, Continental Sliced Cold Meat, Festive Terrine, Roast Hereford Striploin, Orange Basted Roast Turkey, Chocolate Yuletide Log and more! 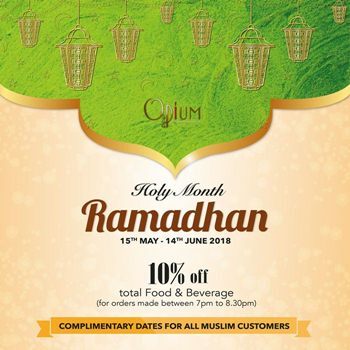 Few days left before the Ramadan ends – time flies! 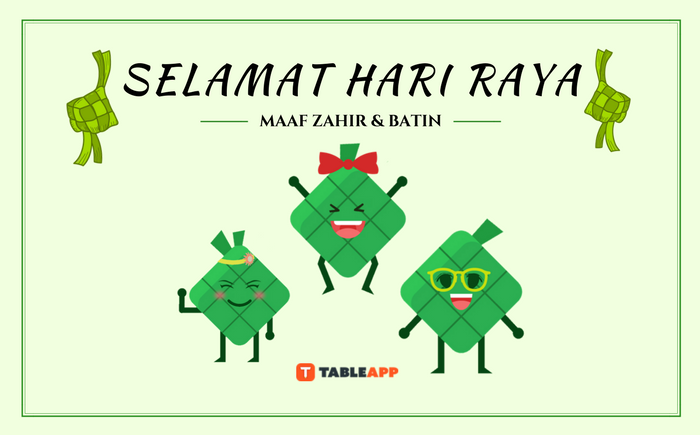 We hope that you have been enjoying a wonderful Ramadan and shared precious moments with your friends and family. 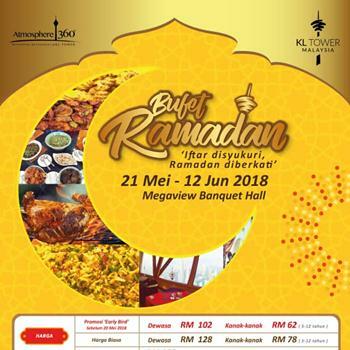 Before Ramadan month comes to an end, mark the last Ramadan week with a grand feast at the 7 Most-liked Ramadan Buffets in KL. 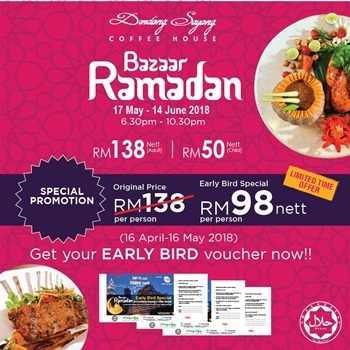 Go for traditional bazaar concept! 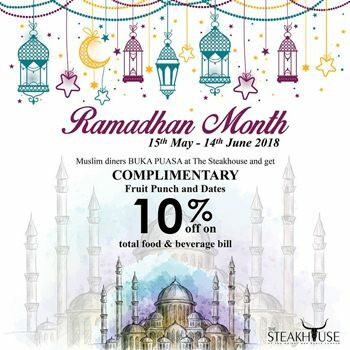 Embrace the spirit of the holy month and embark on a unique epicurean journey at The Mill Café, located at Grand Millennium Kuala Lumpur. 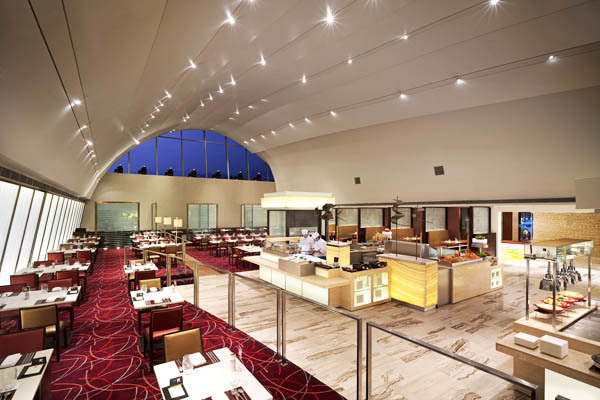 The Mill Café features a 5-star buffet where you can savour a lavish selection of Asian and international flavours, including over 100 tantalising specialities presented in 24 market-styles stalls. 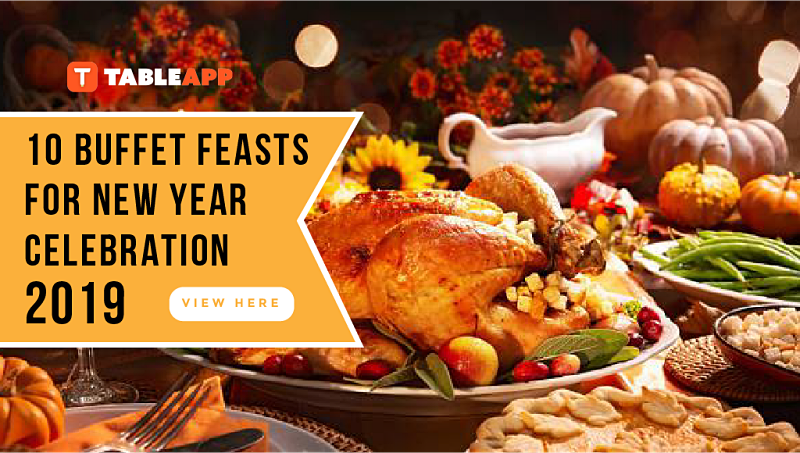 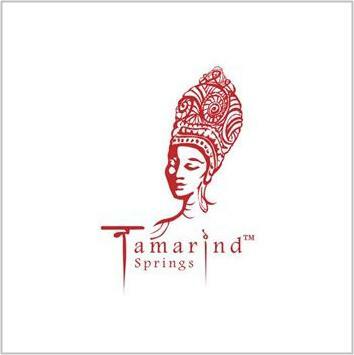 TABLEAPP Exclusive: Book Now to get 34% OFF! 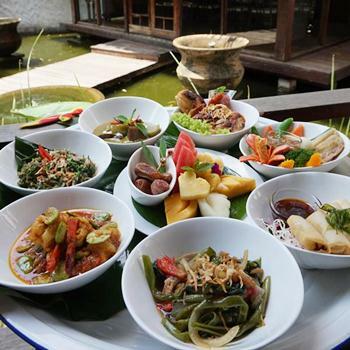 Almost 300 dishes and condiments, all prepared in their traditional best! 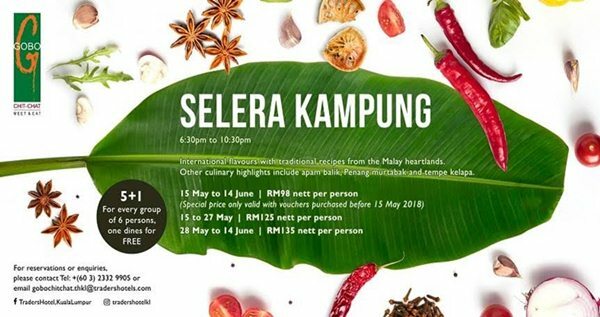 The special “Selera Kampung” fare presents an array of delish delights which include but not limited to: traditional Malay appetisers, claypot assam pedas, kawah favourites, traditional Malay kuihs and local / seasonal tropical fruits, and onsite Turkish ice-cream maker. 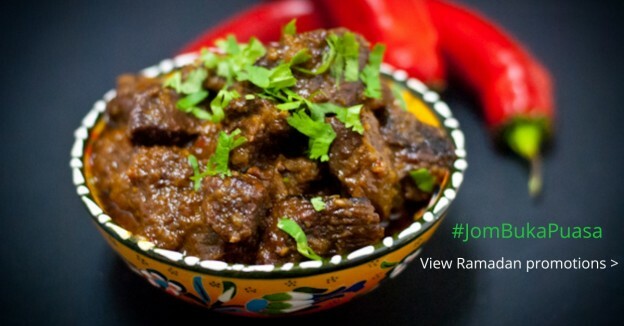 Treat yourself with authentic Indian cuisine at Passage Thru India, voted as the Best Indian Restaurant by the culture, arts, and Tourism Ministry! 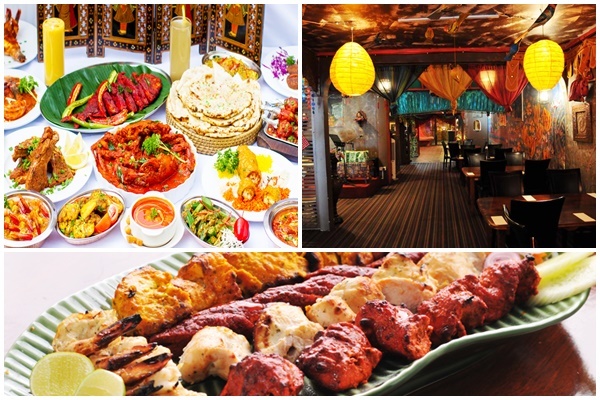 Get thrilled with the buffet of mouth watering dishes prepared with recipes from India. 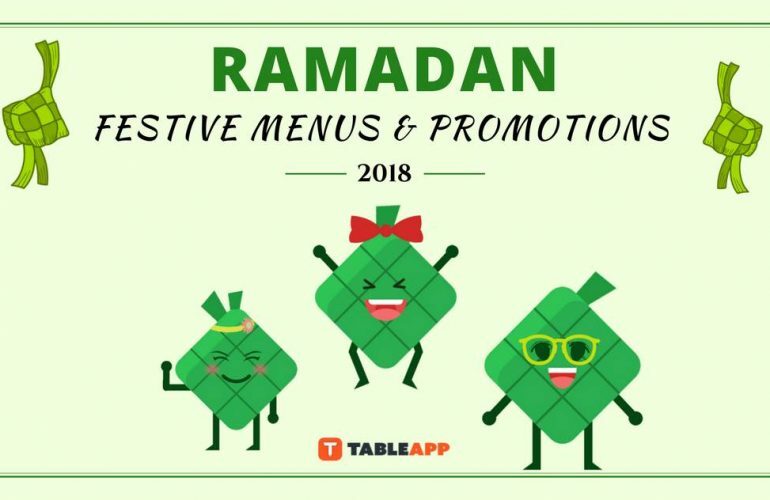 This Ramadan, the restaurant features over 30 mouths watering dishes with pure spices and selected herbs and only using healthy cooking oils.TABLEAPP Exclusive: Book Now to get 10% OFF! 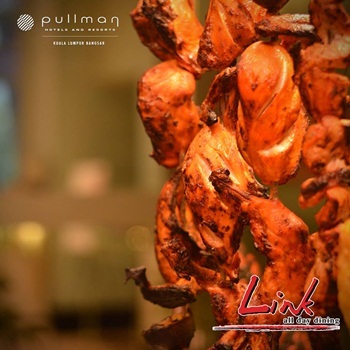 Come to discover traditional and local cuisine with innovative fusion! 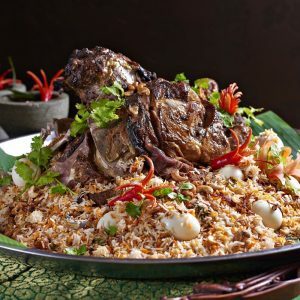 At Bijan, they are innovating ways of enjoying Malay food, introducing accompanying wine to enhance flavours and ways of preparing local delicacies in a fine balance of old and new. 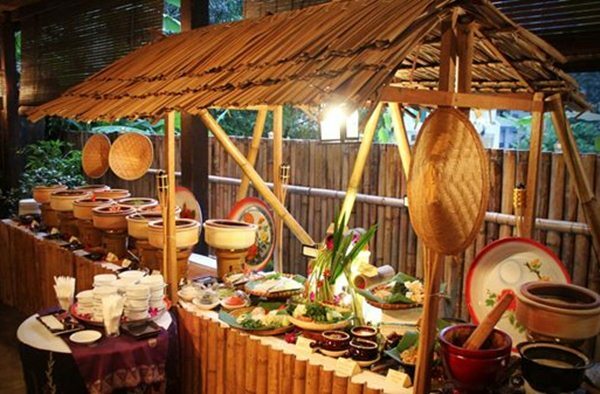 This ‘Selera Ibunda’ buffet will be taking diners down the memory lane and stirring up fulfilling memories of some almost forgotten dishes. 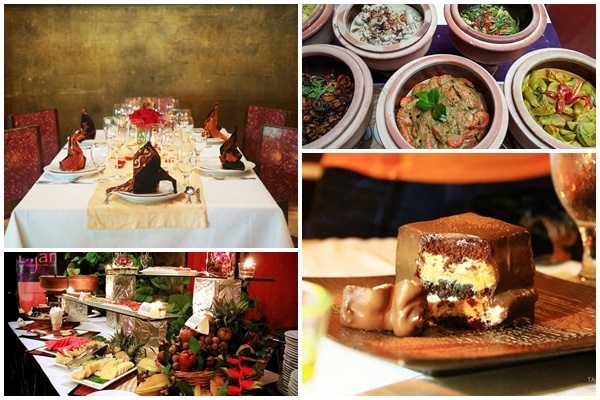 Not to forget their famous Chocolate Durian Cake made from D24! 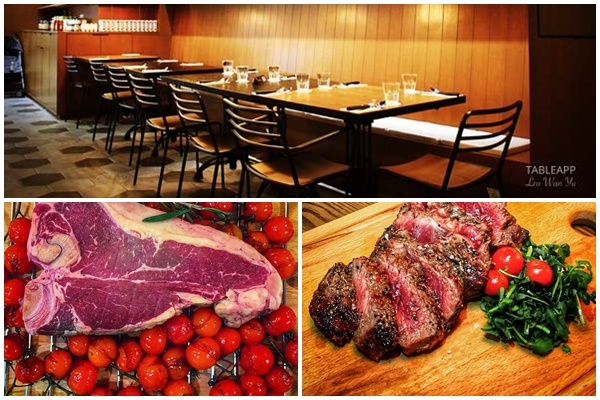 Free flow of steak, anyone? 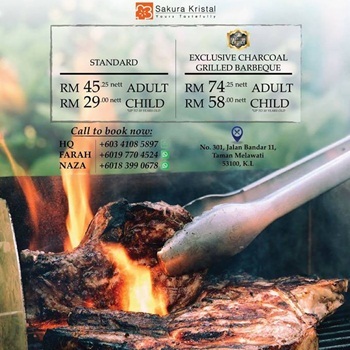 Las Vacas Sunway Putra Mall’s buka puasa buffet features special daily carvery including Halal Australian beef, New Zealand lamb and BBQ chicken from their Josper Charcoal Oven that adds uniquely special flavour to the meats. 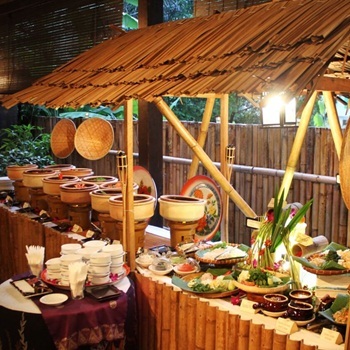 You will also have access to homemade desserts table and local specialities. 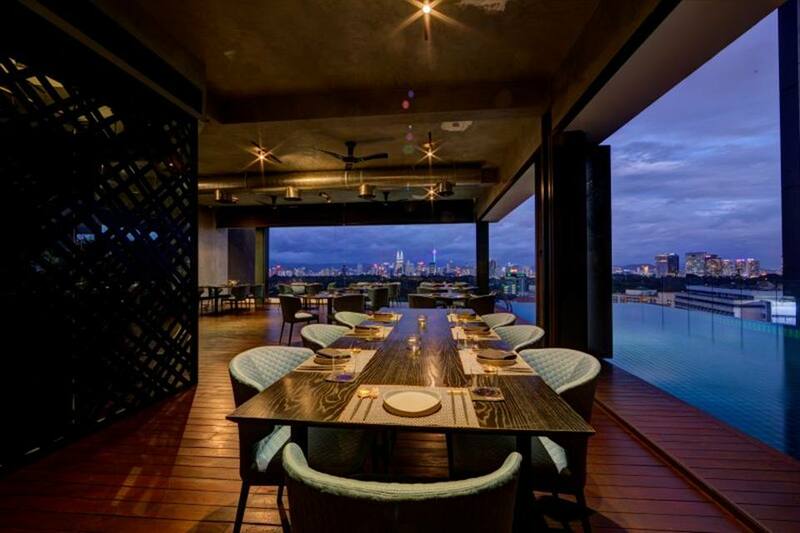 Breaking fast with an incredible Kuala Lumpur city view! 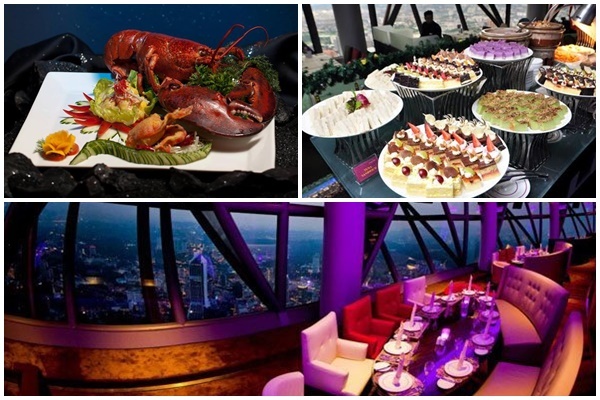 The restaurant is housed in the world's 7th tallest tower – the KL Tower – where the view is breathtaking. 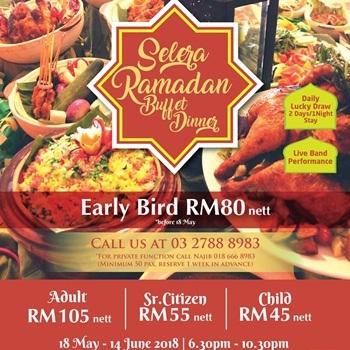 The modern authentic Malaysian and International cuisines served for its buffet will leave a lasting Ramadan mark in your heart. 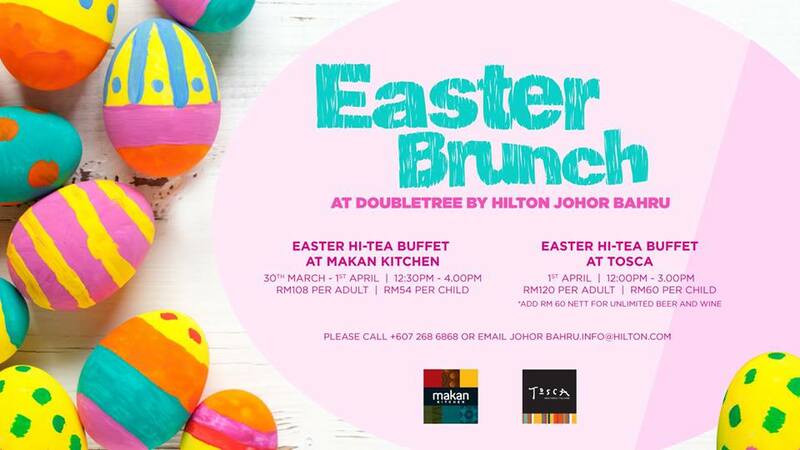 Come with family or friends and enjoy this delightful buffet. 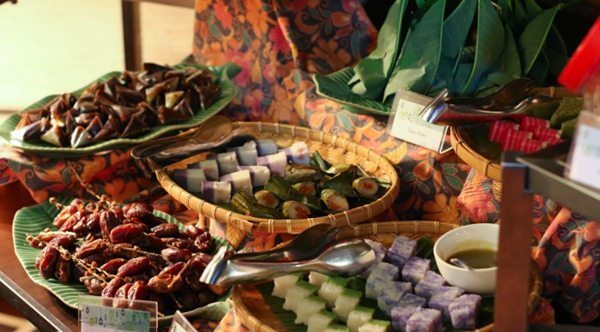 Who’s up for international flavours with traditional Malay recipes? 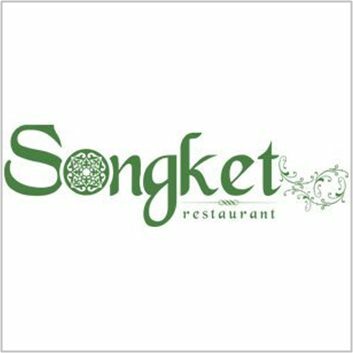 Gobo Chit Chat offers a variety of local and international dishes. 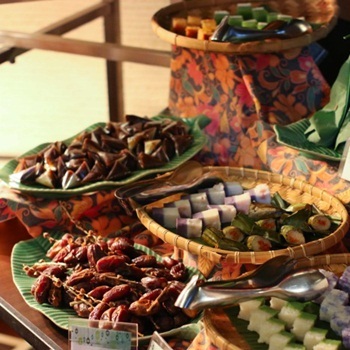 Other culinary highlight includes lok lok steamboat delights, Penang murtabak, tempe kelapa and a variety of Arabic dates. 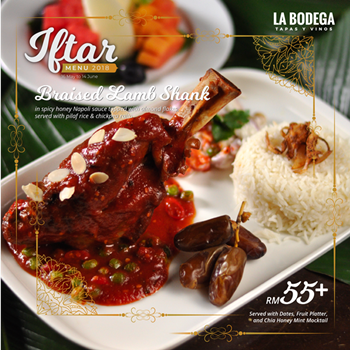 Plus, free flow of Haagen-Dazs ice cream while enjoying gamelan performance which is available every night! 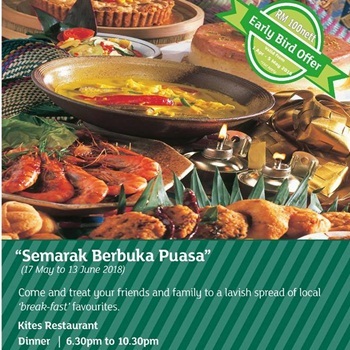 For every group of 6 persons, one dines for FREE.